These numeric tubes all have decimal points too. The B54370A seems to be a variation of the B5441A - it has a comma in place of one of the decimal points, probably for use in displaying thousands. A smooth-topped version of the B5441/NL5441. This became very popular when a few Divergence Meters were built using this tube. 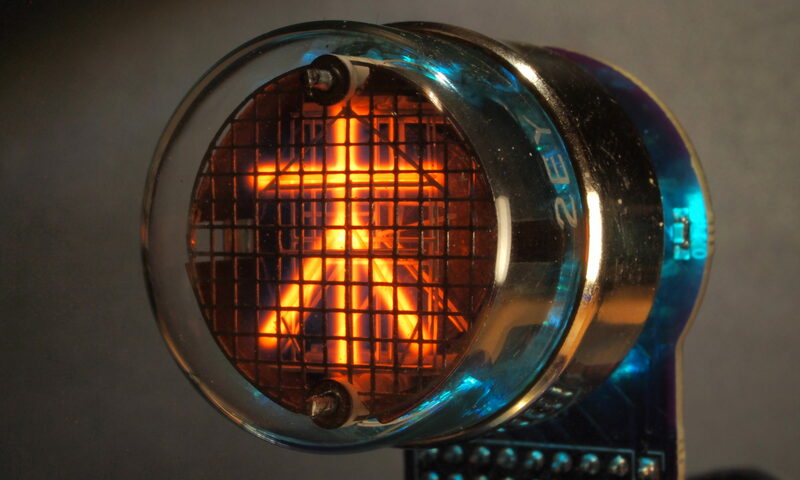 The ZM1212 from Telefunken is a medium-sized side-view nixie tube. The anode is made up of very fine horizontal wires, which lends it a very distinctive appearance.